Tanya Bonakdar Gallery is very pleased to announce Monads, Soul Houses and a Star-off Machine the gallery's sixth solo exhibition with Charles Long. 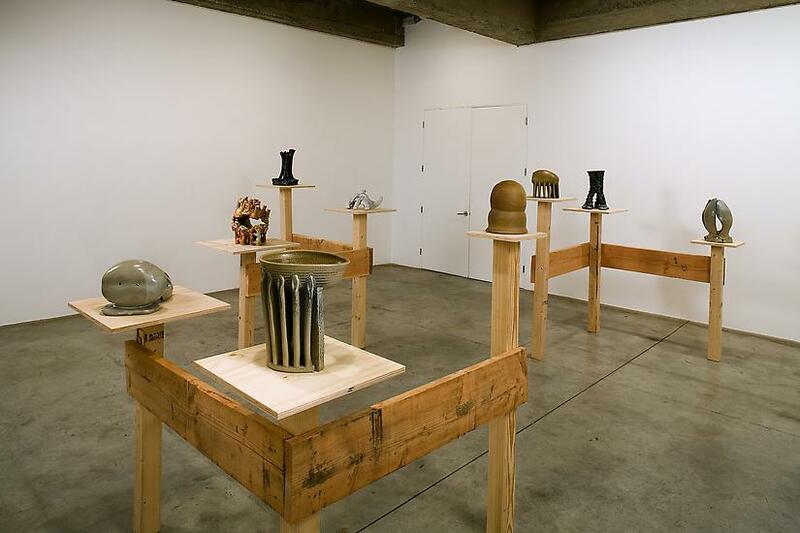 This focused presentation of ceramic sculptures and drawings on photographs is the result of Long’s recent residency at the Anderson Ranch in Snowmass Colorado. 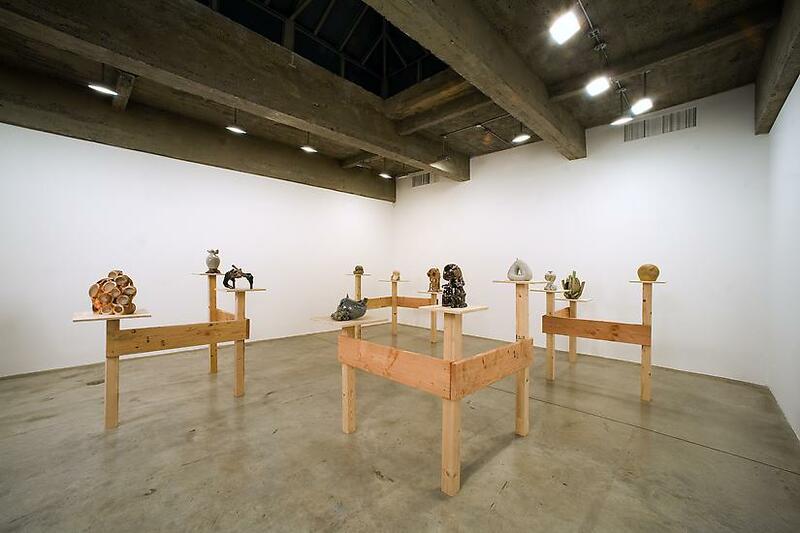 In January of 2007 the gallery will present a major show of Long’s sculpture in gallery one. 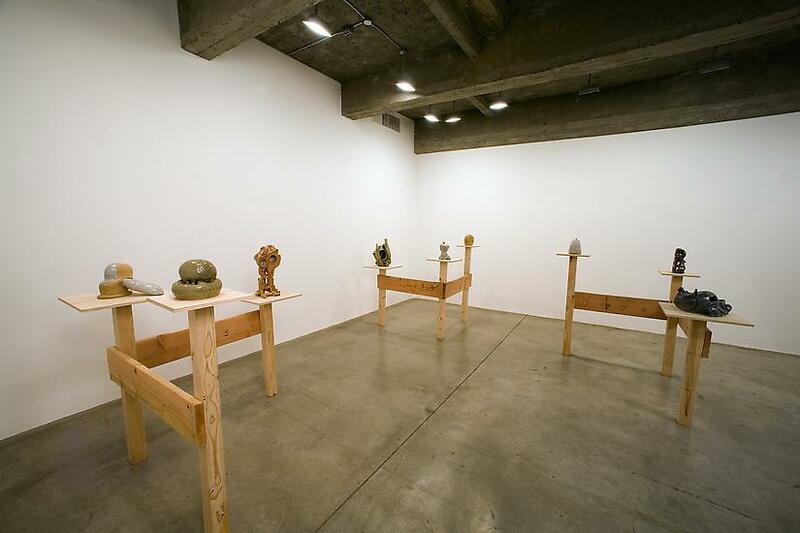 Perched alone atop spare wooden supports, each ceramic sculpture exhibits its peculiarly autonomous presence in the group. Long refers to these abstract works as Monads, a term borrowed from the metaphysics of Leibniz, who defined them as an infinite variety of unique indivisible simple substances "independent of everything but God". 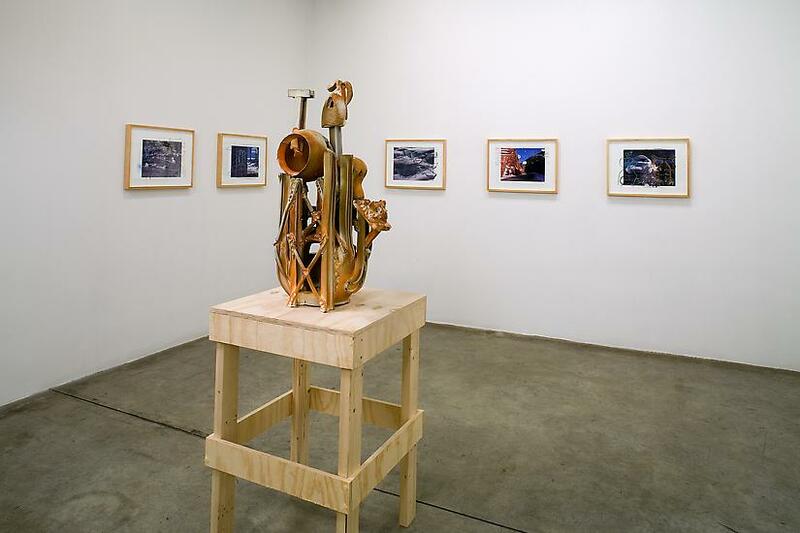 Long's sculptures have always explored the experience of the autonomous object from a psychological perspective and more recently from a mystical one.